All of card counting is based on the skill of tracking the ratio of high to low cards. Since Edward Thorp developed his initial card counting system, dozens of other systems have been developed, with varying degrees of difficulty and effectiveness. Do you want a simple system that is less effective? How about a mind-boggling system that is more effective? But with every card counting system, the concept is the same: by keeping a ratio of small cards to high cards, it gives the player a better indication of when the advantage shifts from the casino to the player. When the casino has the advantage, you bet less; when you have the advantage, you should bet more. It’s kinda like buying stocks low and selling high. On top of that, card count systems indicate when you should deviate from basic strategy. We recommend, and teach, Hi-Lo. But if you want to do your own research or choose a system tailored to your specific abilities and goals, here is a comparison of the top card counting systems. 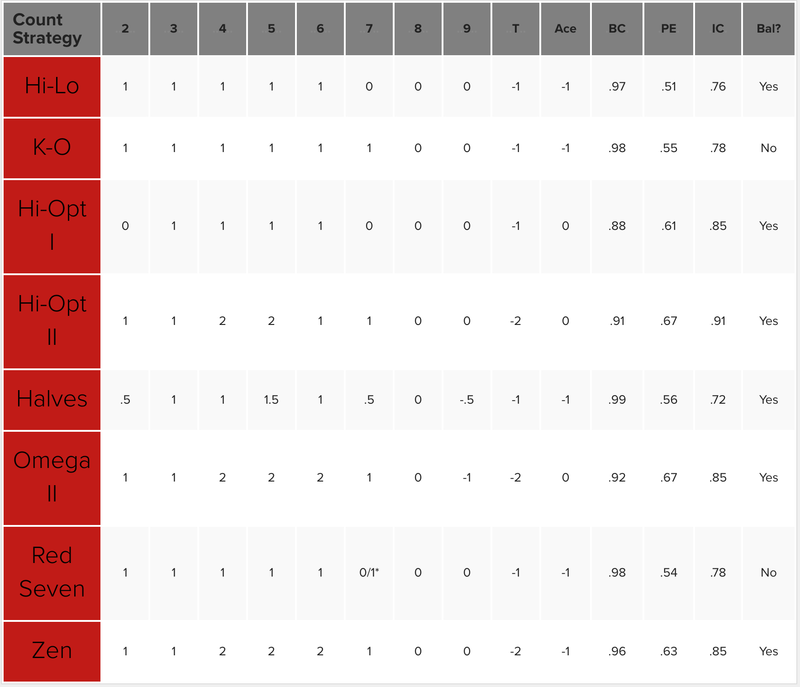 The chart above shows the count “tags” that each system assigns for each card value. For example, in Hi-Lo, the 2-6 valued cards would get a “plus 1” value, meaning each time you see a 2, 3, 4, 5, or 6 hit the felt you would add 1 to your running count. On the opposite end of the spectrum you would subtract 1 from your running count if you see a ten or an ace hit the felt. The other cards you ignore. Each system has different tags and true count resolution methods (or lack thereof). Betting Correlation (BC): The betting correlation is how effective the card counting system is at predicting valuable betting situations as compared to what a computer could do. The higher the better. A high betting correlation means the system’s count-tags very closely approximate the real “effect of removal” of each card. Playing Efficiency (PE): The Playing Efficiency is a measure of how effective each strategy is at determining correct playing variations (i.e. “Deviations” or basic strategy “departures”). Just like betting correlation, the higher the better. Insurance Correlation (IC): How effective the card counting strategy is at predicting when to buy insurance. Obviously, strategies that have a separate Ace side count are going to be better at determining when to buy insurance. But in our (humble) opinion, a side count strategy is not worth the effort. Putting more time into playing more efficiently, erasing mistakes from your game, and acting less like a robotic card counter will have a bigger impact on your bottom line than learning a more complicated strategy. Balanced or Unbalanced (bal? ): A balanced count begins and ends at zero (like Hi-Lo). The alternative would be an unbalanced count (such as K-O), which has an unbalanced ratio of “low cards” to “high cards.” With an unbalanced count, you typically do not start at zero, but start at an “initial running count”, thus not needing to convert from a running count to a true count. While these systems are fairly simple to explain and understand, much more is required to implement them successfully inside the casino environment and make a profit. You’ll need to learn basic strategy, true count conversion, deck estimation, betting strategy, and bankroll management, before you can start clobbering casinos. 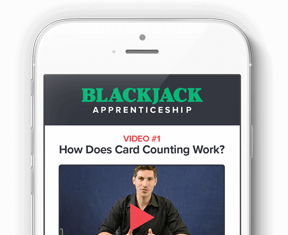 We recommend considering a premium membership to learn everything you need to know to become a successful card counter and not lose your shirt trying to implement something you read about over the last 5 minutes. The Theory Stuff: If the Flux Capacitor was what made time travel possible in Robert Zemeckis’ iconic 1985 film, Back to the Future, then the principle of “conditional probability” is the Flux Capacitor of card counting. It’s the one fundamental principle that allows card counting to be possible. It sounds scary but go with us here. Conditional probability is a fancy way of saying, “what happens next, depends on what already happened.” Blackjack is one of a handful of casino games that operate under this principle. Once a card is played in a conventional game of blackjack, it cannot be played again until the completion of the whole deck (or shoe). That means the next card to be drawn cannot be the one that was just played. This is what allows a card counter to use a simple system to keep track of what’s happened in the shoe. When you know what has already been played you get a good idea of what hasn’t been played yet. When the cards left to be played are favorable to the player, a card counter can place bigger bets to capitalize on this. This is the opposite of “unconditional probability.” An example of unconditional probability would be the roulette wheel. Most roulette wheels in the US have 38 possible numbers. The ball MUST land in one of those 38 spaces no matter what. Each space has an equal probability of winning, each round you spin. No numbers will be removed after they’re played. The numbers that have recently won have no bearing on the probability of the next number coming up (despite the fervent beliefs of many gamblers). The odds are the same this round as they will be the next round. Unfortunately, the majority of things you can wager on in a casino follow the rules of unconditional probability and are generally invulnerable to advantaged play. That’s why Blackjack is so special. The Practical Stuff: We know what you’re thinking, “How could a normal person with average intelligence keep track of all the cards in a whole shoe of 6 decks? !” Luckily you don’t have to keep track of ALL the cards, just a simple ratio of “good cards” to “bad cards”. It’s a myth that you have to memorize the order of the cards to beat the game of blackjack. Just keeping track of how many good cards you’ve seen in relation to how many bad ones you’ve seen can give you a pretty effective approximation of what situations will favor you in the rest of the shoe. So you don’t have to be a savant to master the skill of card counting but it’s also not something you’ll be able to do successfully after reading this article. It takes many hours of disciplined practice to beat the casinos at their own game. We know it’s not easy but that’s why we designed a training course. The History Stuff: Back in the 60’s (when computers were new) a mathematics professor, by the name of Dr. Edward O. Thorp, wrote a simple math program that could simulate a game of blackjack. He was looking for an optimum strategy that would give a player the best decision for any given hand of blackjack. The strategy he discovered later became known as basic strategy. 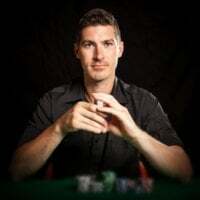 In Thorpe’s process of developing a basic strategy, he also made another discovery that had a much more profound impact on the game of Blackjack. He discovered in his simulations that when the remaining cards in the game were rich in tens and aces, the player had a tendency to win more often than the dealer, and when the remaining cards were rich in low cards (2-6) the dealer would win more often than the player. There are several mathematical explanations as to why this occurs so we made a video about all the reasons. Without getting too deep in the details, a couple of the big reasons are A) when there are high cards left in the shoe, the player will get more blackjacks which pay 3 to 2 (1.5 times the normal payout for a winning hand) and B) conversely, when there are a lot of low cards left in the shoe the dealer will not bust as often, and they will make more hands that beat the players. Thorpe published these discoveries, along with a simple system to use these principles against the casinos, in his iconic work Beat the Dealer in 1962. Almost overnight, a revolution was born. The game of blackjack, which was a relatively obscure and unpopular game at the time, became the most popular casino game in America. Over 50 years later, the game is still being beaten, every day, by advantage players around the world. If you really want to get into the nitty gritty, we recommend The Theory of Blackjack by Peter A. Griffin.